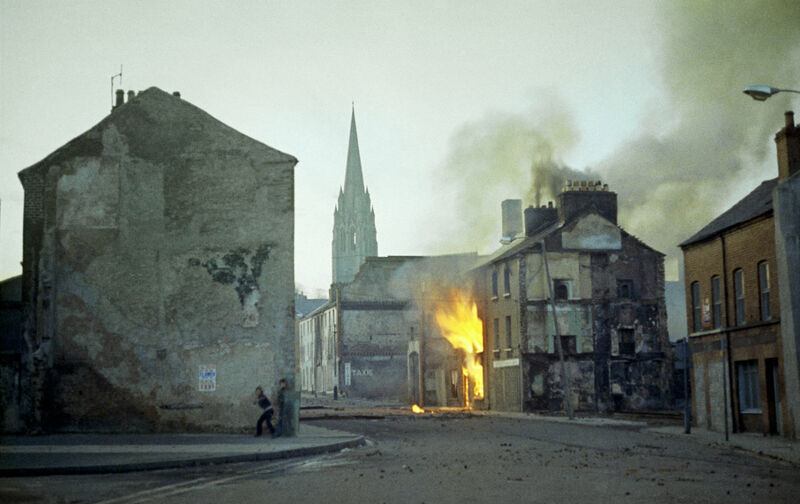 On this first of the Irish Bloody Sundays—another, in 1972, was equally bloody, and equally Sunday—14 people died, including fighters with the Irish Republican Army, the British military, and civilians. The following month, a writer named James Carty wrote “An Irish Fragment,” a sketch of life in Dublin during the violence, for The Nation. Carty appended a prefatory note to the piece saying that he had promised The Nation’s editor “an impression of the contemporary scene.” He completed it, and until “Bloody Sunday” he “thought it was a true impressionism…. Anyway it is not true now. There is so little truth in it that I have put it in the fire—all excepted the first page, which I am sending you so that you may be able to realize how completely the situation has changed.” After that violent day, Carty wrote, “the conditions of guerrilla warfare” had overtaken the city. Life in Dublin has not yet become the perilous and unstable thing that it is in many counties of the west and south. The constant fear of an untimely death does not prey upon the mind of the average citizen, nor has he to reckon with the ever-possible contingency of having to fly from his home at night, with his family if he has one, for the cold but friendly hills. The laborer, journeying downtown to his morning’s work, is not so far disturbed by the thought that his employer’s premises and his employment may have gone up in flames the night before. Parades of frightfulness are often featured, but they are usually admonitory only, not punitive as elsewhere. Combats have taken place in the streets, but the prevailing condition, which probably both sides wish to maintain, is one of continuous, unqualified, but passive hostility between the population and the occupying forces of Britain.